A delegation from China’s Nanjing Audit University met recently with representatives of the University of Pretoria to discuss extending the institutions’ exchange agreement, which has been in place for eight years. The Nanjing Audit University delegation was led by its President, Prof. Liu Wanghong, who met with UP’s Department of Auditing, Prof. Elsabé Loots, Dean of UP’s Faculty of Economic and Management Sciences, and Prof. Stephanie Burton, UP’s Vice-Principal for Research and Postgraduate Education. 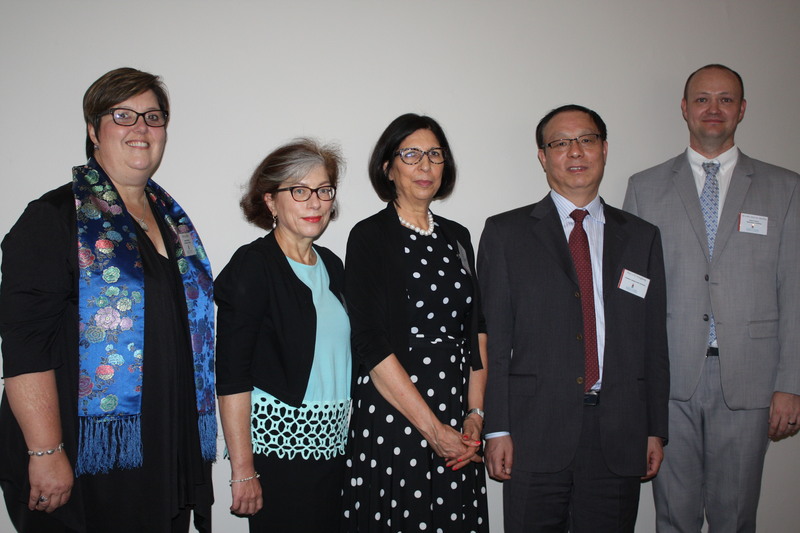 Prof Kato Plant, Associate Professor, Department of Auditing; Prof Karin Barac, Head of Department of Auditing; Prof Elsabe Loots, Dean of EMS; Prof. Liu Wanghong, President of Nanjing Audit University and Senior Lecturer, Cobus Janse van Rensburg. She explained that UP has the largest internal audit programme in the world, with 1 000 undergraduate and postgraduate students. The department has identified research themes such as: The status of internal and external auditing in the public and private sector; Internal auditing’s role in corporate governance; and performance auditing and accountability. She proposed that both universities embark on comparative research. In response, Prof. Liu said his university’s visit to UP was aimed at strengthening bilateral collaboration. He explained that China has undergone major reform around internal auditing with the establishment of a Central Auditing Committee, which has boosted centralisation and uniformity of standards. Furthermore, the China National Audit Office is focusing more attention on internal auditing in the private and public sectors. There has been an emphasis on monitoring in the public sector and state-owned enterprises’ responsibility. He said the university is making a contribution to the development of internal auditing. He explained that the leaders of state-owned entities have fixed-term contracts, during which they face a mid-term audit, with a follow-up economic responsibility audit when they resign, as a means of assessing good practice and identifying any corrupt activity. Prof. Liu welcomed UP’s proposal to collaborate in the area of research, and suggested that UP and NAU establish an international academic conference to enhance research collaboration between the two institutions. The first conference will be hosted by NAU in 2020. 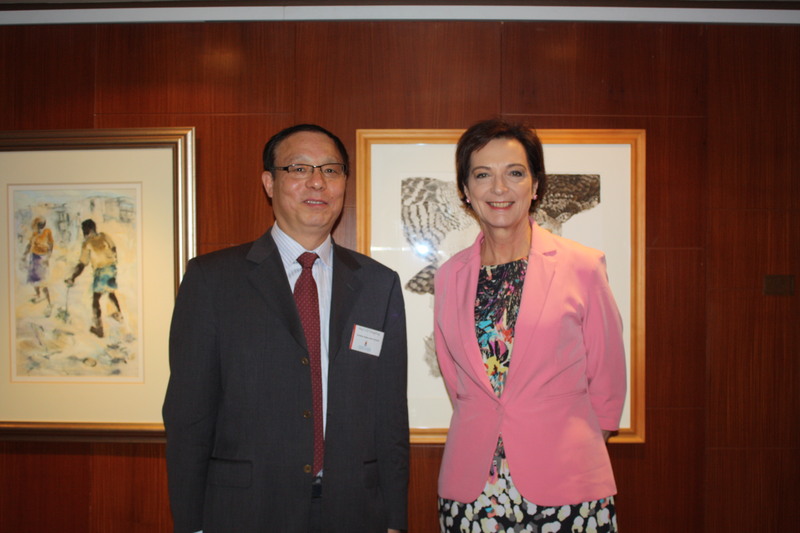 Prof. Liu Wanghong and Prof. Stephanie Burton, UP Vice-Principal for Research and Postgraduate Education.